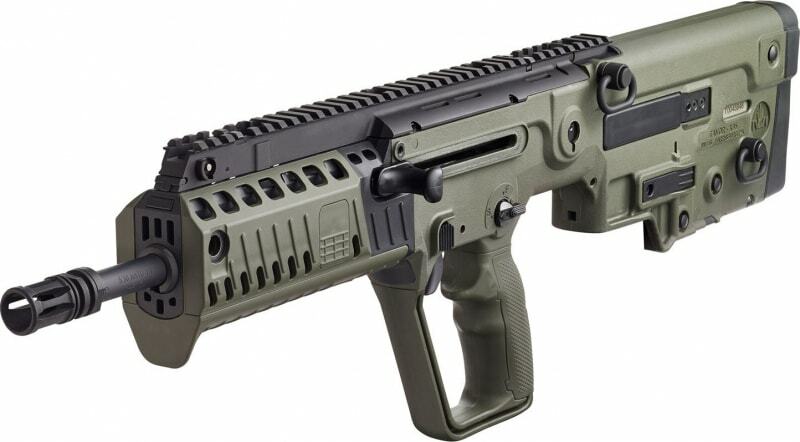 The new Tavor X95 is the next generation bullpup from IWI, Inc. Upgrades and enhancements from the original TAVOR SAR include a new fire control pack with a 5-6 lb. 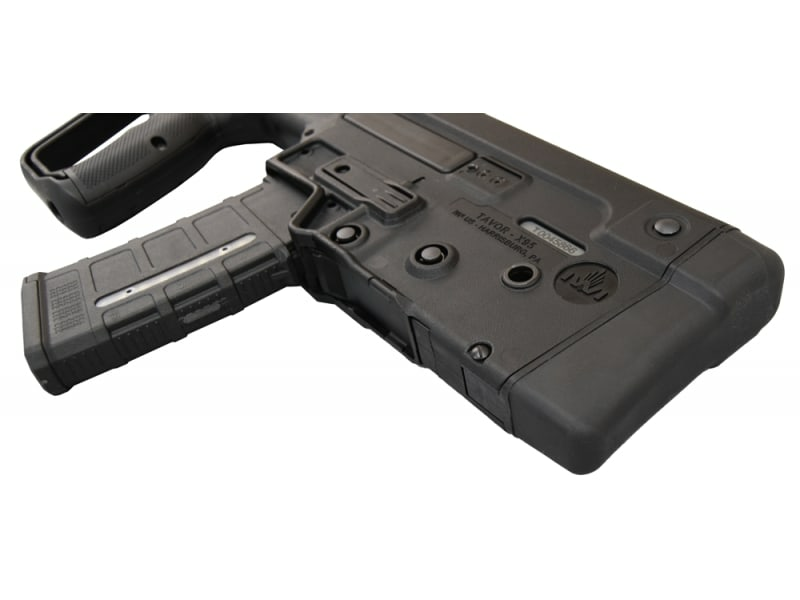 trigger pull, repositioning of the ambidextrous mag release to an AR-15 location, a forearm with Picatinny rails at the 3, 6, and 9 o'clock positions with removable rail covers, relocation of the charging handle closer to your center mass, a modular Tavor style pistol grip that can be swapped out to a standard pistol grip with traditional trigger guard and a smaller, lower profile bolt release button. These are hard to find and always sell out quickly when we get a small lot in. 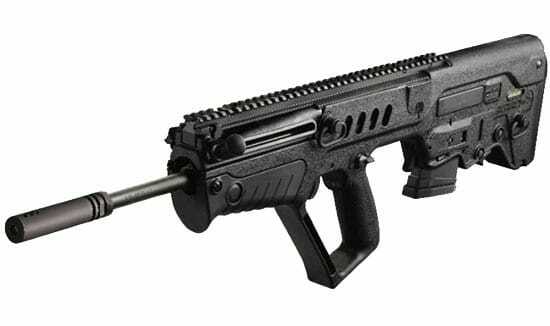 The Tavor X95 Bullpup by IWI is one of the finest weapons systems available form one of the most respected manufacturers in the world. Get yours now. 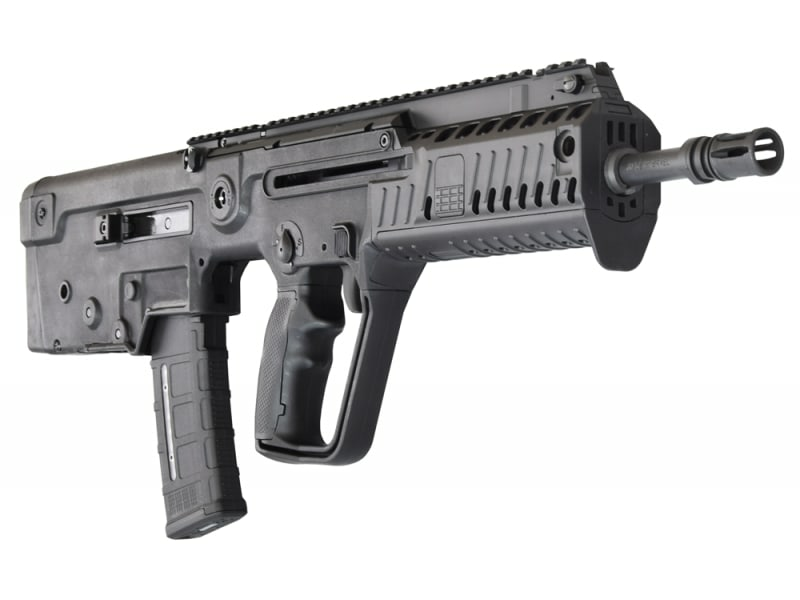 The new Tavor® X95™ is the next generation bullpup from IWI US, Inc. Upgrades and enhancements from the original TAVOR® SAR include a new fire control pack with a 5-6 lb. 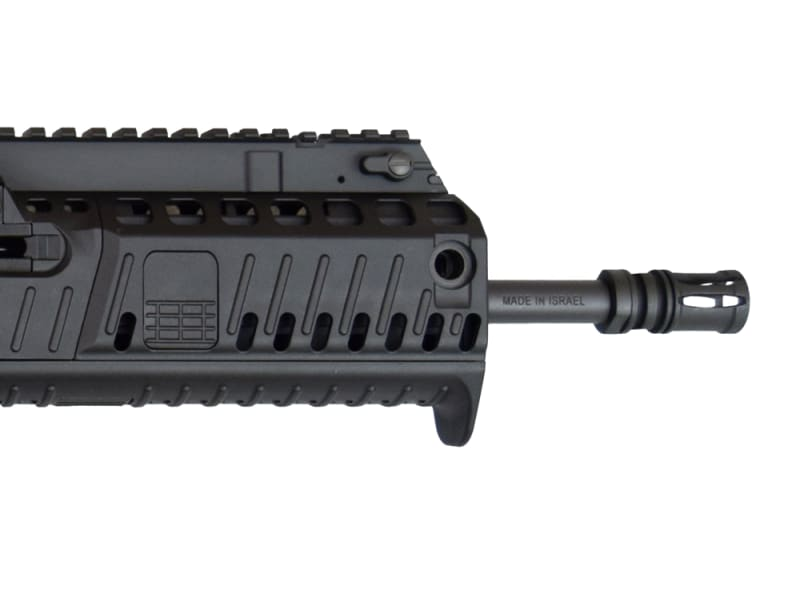 trigger pull, repositioning of the ambidextrous mag release to an AR-15 location, a forearm with Picatinny rails at the 3, 6, and 9 o’clock positions with removable rail covers, relocation of the charging handle closer to your center mass, a modular Tavor style pistol grip that can be swapped out to a standard pistol grip with traditional trigger guard and a smaller, lower profile bolt release button. IWI US has it's genesis back in the 1930's when Israel Military Industries (IMI) Ltd. began firearms production in Israel under a British Mandate. By the the late 1950’s, IMI in conjunction with the Israel Defense Forces (IDF) formed a joint research and development partnership. 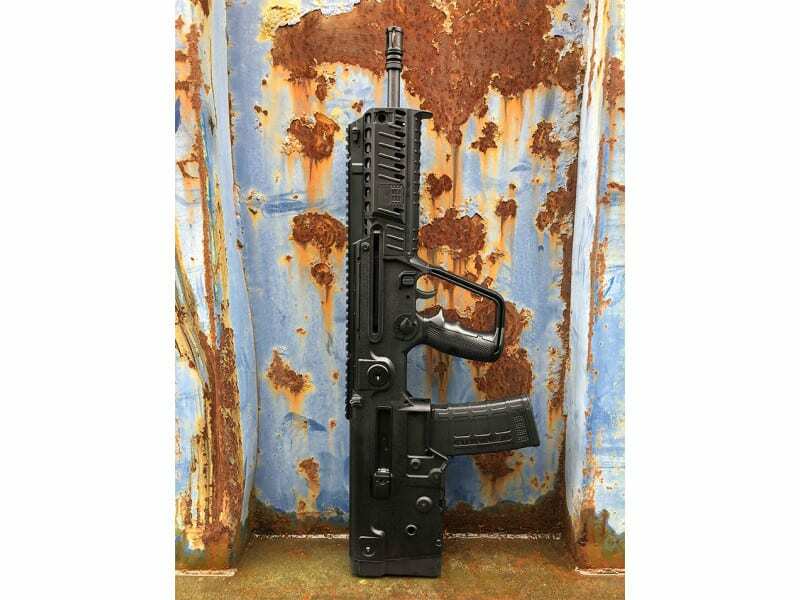 Their combined goal was to develop the most technologically advanced small arms in the world in order to meet the demands of troops fighting in urban areas and harsh environments. 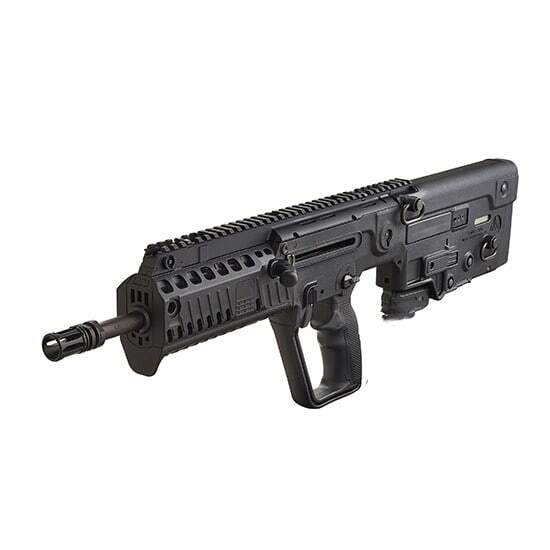 The troops in this area of the world know they they may have to live or die by the weapon that carry at any moment and as such ultimate quality and reliability was a must. 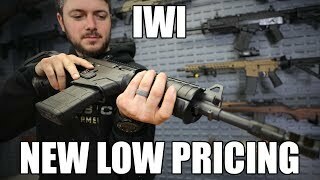 In 2005 the Israeli government decided to privatize the small arms division of IMI and Israel Weapon Industries (IWI) Ltd, was born. 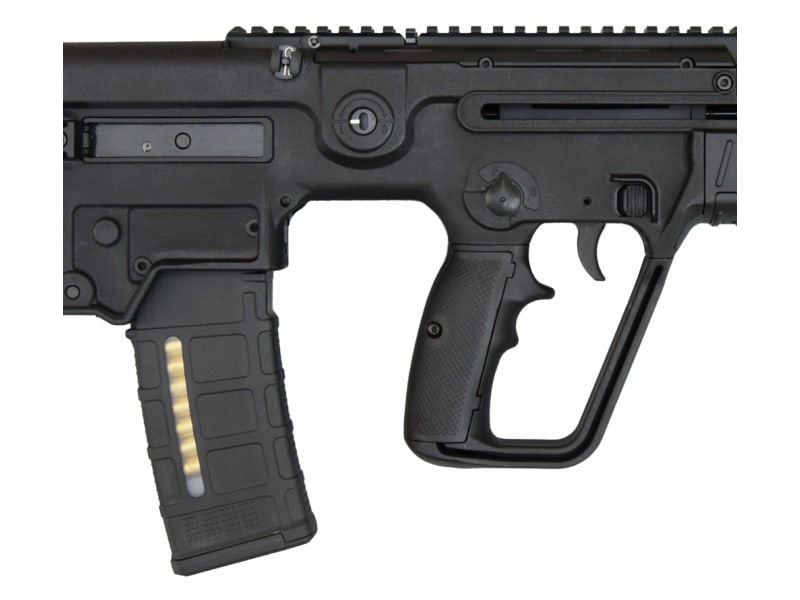 Today IWI continues to develop small arms uniquely suited to face the harshest climates and ever increasing threat of global terrorism. The intensive and continuous use of IWI products by not only the Israeli Defense Forces but also numerous other military, police, and special operations forces world wide enable the company to continue to innovate and optimize both existing and new products. 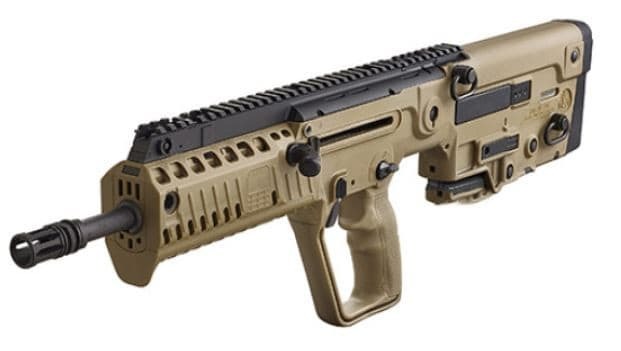 In addition to Israel IWI firearms are in prominent use in countries such as Chile, Colombia, India, Thailand, Vietnam, Georgia, Ukraine, Mexico, Peru, Portugal, Nigeria and many more, All IWI weapons systems are in compliance with the most stringent military (MIL-STD) and ISO 9000.2008 standards. 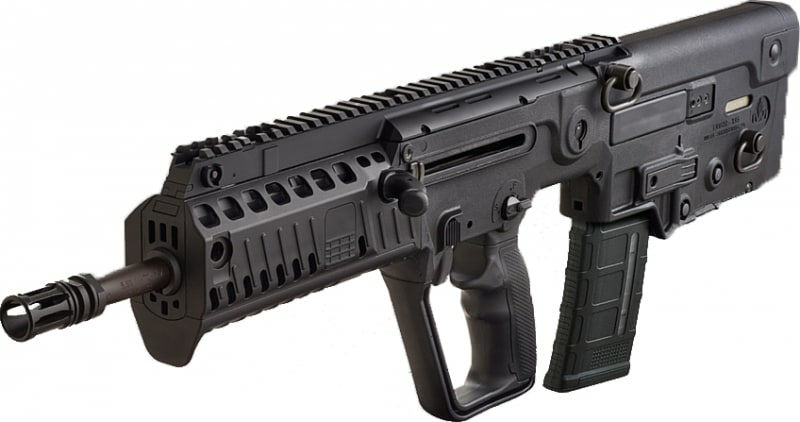 IWI US, Inc., launched in 2012, brought the first civilian commercial versions of the Tavor SAR to the United States in the Spring of 2013. 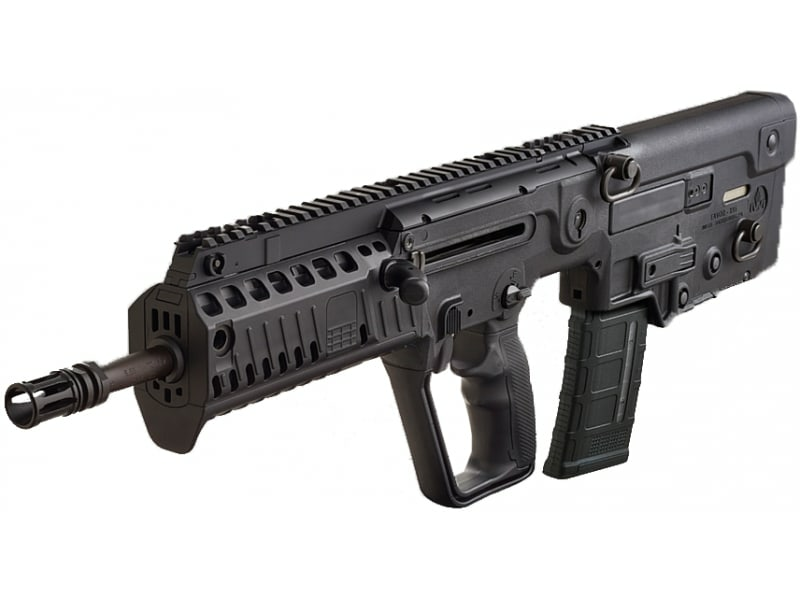 The Tavor achieved immediate acclaim, winning the prestigious "Rifle of the Year" award from American Rifleman Magazine. 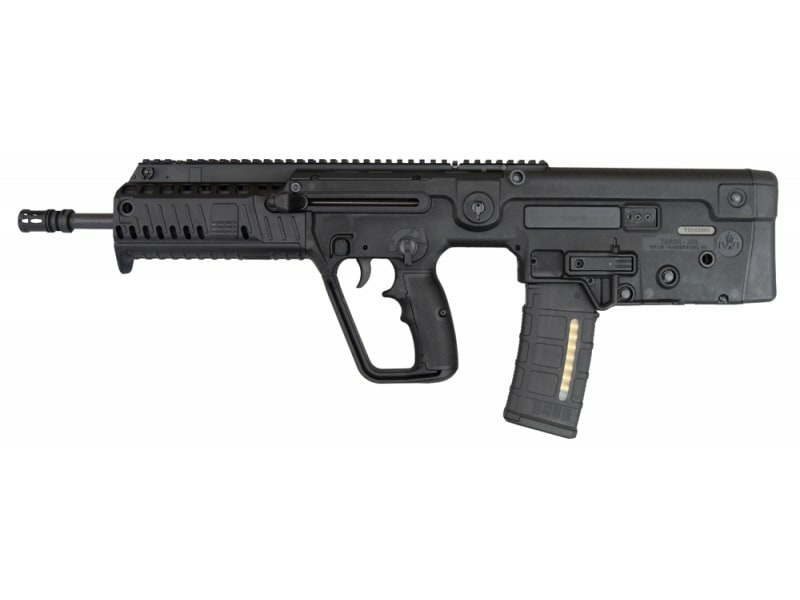 IWI US was also honored by the NASGW (National Association of Sporting Goods Wholesalers) as inaugural winner of the 2014 Importer of the Year award and The Truth About Guns 2013 Rifle of the Year. 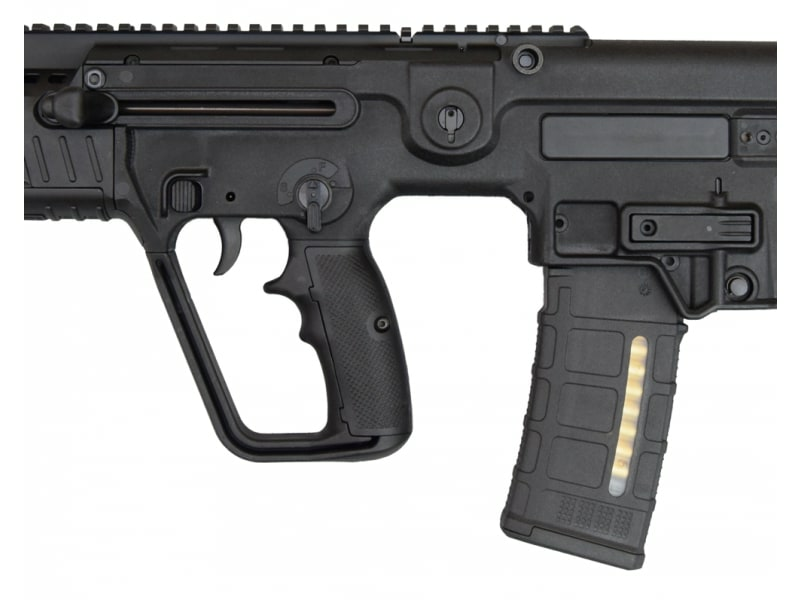 2014 brought the launch IWI US's Law Enforcement Division in the US and saw the adoption of the TAVOR SAR by the first US Law Enforcement agencies. 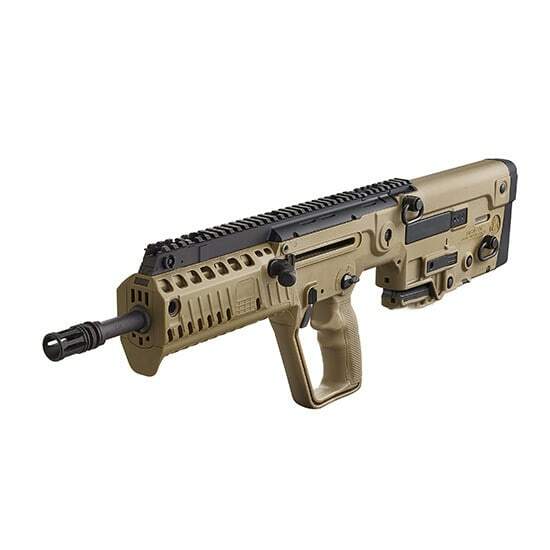 The quality of the IWI Tavor rifle is second to none. 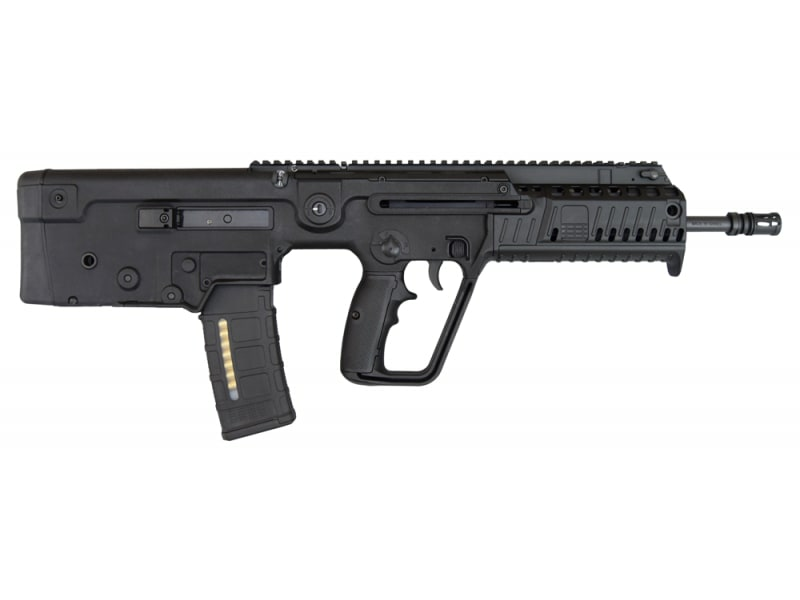 The future of firearms is here with the IWI Tavor.